George Hatfield Hayward is a 7th generation New Brunswicker, born in Carleton County in 1927, a son of William and Dora (Hatfield) Hayward. Captain John and Mary (Lockerman) Hatfield were two of his maternal 4th great grandparents. Mr. Hayward is a member of Capital Branch of the New Brunswick Genealogical Society and was Editor of the NBGS quarterly journal Generations from late 1994 until the end of 1998, and again in 2009-2010; a member of the United Empire Loyalists' Association of Canada, New Brunswick Branch, and a past U.E.L. Dominion Councillor in Toronto; and a member of the Canadian Society of Mayflower Descendants (a descendant of John Alden & Priscilla Mullins). He is a Certified Genealogist, a member and former director of the Genealogical Institute of the Maritimes in Halifax, and has been an active family historian since 1955. His main area of interest has been the Planters that settled along the lower St. John River Valley in 1763 and the years immediately thereafter, and the Loyalist refugees that fled to New Brunswick and Nova Scotia following the end of the Revolutionary War in 1783. He has been retired from a 30-year career with Canada Mortgage and Housing Corporation since 1985. He lives with his wife Maxine in Fredericton. George Hayward has published more than 20 books containing census, marriage and cemetery records, and family histories. 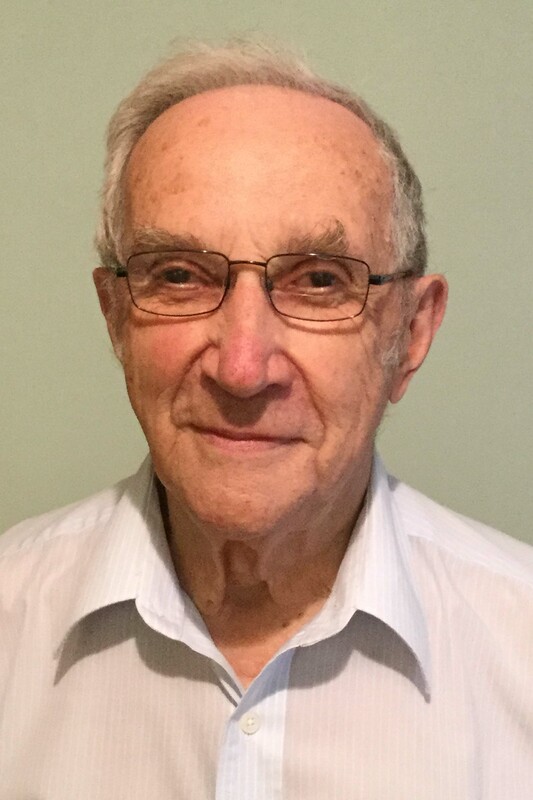 He has also contributed several articles to genealogical journals over the years, has spoken at a number of genealogical meetings and conferences, and taught a non-credit course at the University of New Brunswick on compiling and publishing a family history. The following material, drawn from Mr. Hayward's extensive list of published works, is made available to family historians courtesy of the author. It is his wish that researchers everywhere have ready access to the fruits of his many years of research. NBGS acknowledges George Hayward's great contributions to New Brunswick genealogy and extends a sincere thank-you for his generosity. "DOCUMENT" shows the abbreviated titles of the publications shown below. The combined index contains over 102,000 entries and is a bit unwieldy. To make things a bit easier we have split the combined index into alphabetical sections. The creation of the combined index required a lot of work although we automated as much of that work as possible. Mistakes are inevitable. If you spot an error please contact the webmanager (by e-mail at webmanager@nbgs.ca ) and provide a few details. QUEENS - History of Queens Co., N.B. by E. Stone Wiggins, LL.D. CONNOLLYS - The Connollys of Carleton County, N.B.